Do you have a ring that doesn't fit or annoyingly slides of your finger? Ring size adjusters are the perfect solution. Follow our simple step by step instructions below to ensure you get the best fit possible. 1. 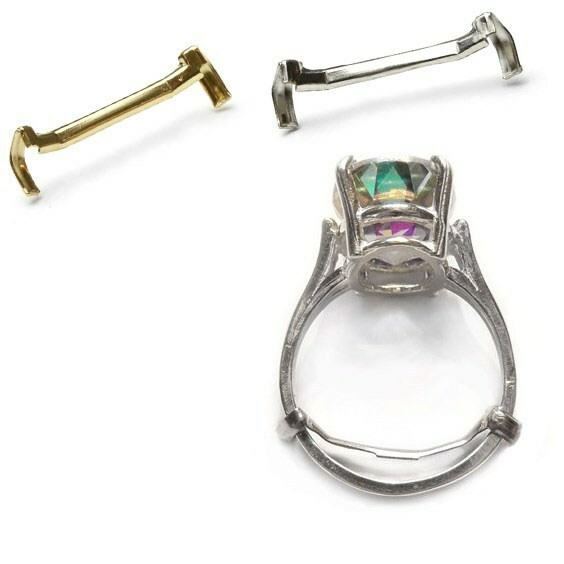 Find a suitable surface to place your ring and adjuster, then place your ring guard with the arms curved upwards. 2. Next, simply put the ring shank inside the curved arm of the ring guard. 3. Now you want to push down on the ring guard so it takes the shape of the bottom of the ring. 4. To ensure a quality fit, check that the shank rests close to the back of the guard. 5. Next it’s time to secure the guard to your ring. Grab your flat nose pliers and begin to bend the arm in a smooth circular motion, tightening the ring guard arm around the ring shank as you go. 6. While turning, ensure that the arm of the ring guard has gone around the inside of the ring shank. 7. Squeeze down to ensure the guard has secured a tight fit around the arm of the ring. 9. Now it's time to repeat those steps for the other arm of the ring guard. 10. Finally, make sure there are no rough bits to avoid catching it on clothes or hair, simply trim or file your guard to reveal a smooth result. 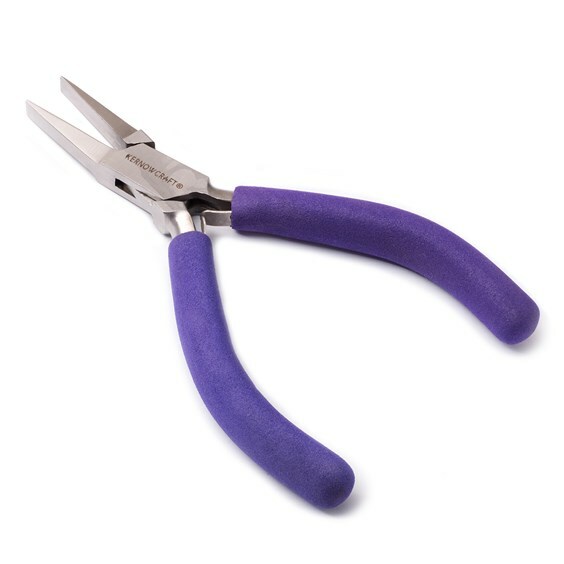 These pliers are essential for all jewellers, they are wide and perfect for gripping and bending. Take a look at our handy pack of pliers and side cutters here. 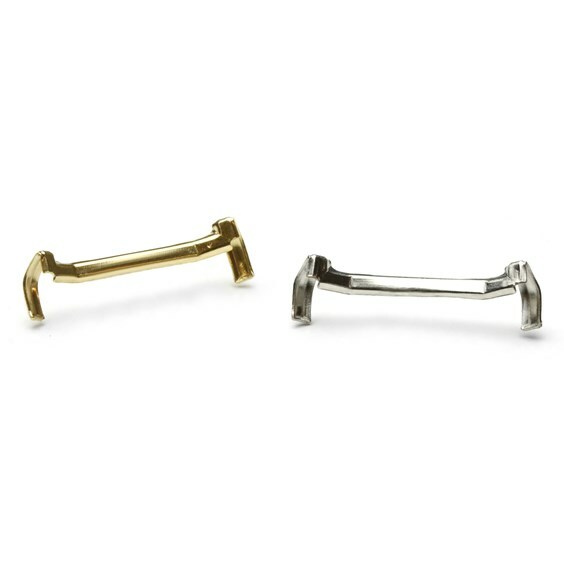 Our ring size adjuster comes in either white or yellow gold and suitable for rings sized L-P.
Got a question? Contact our friendly team today!